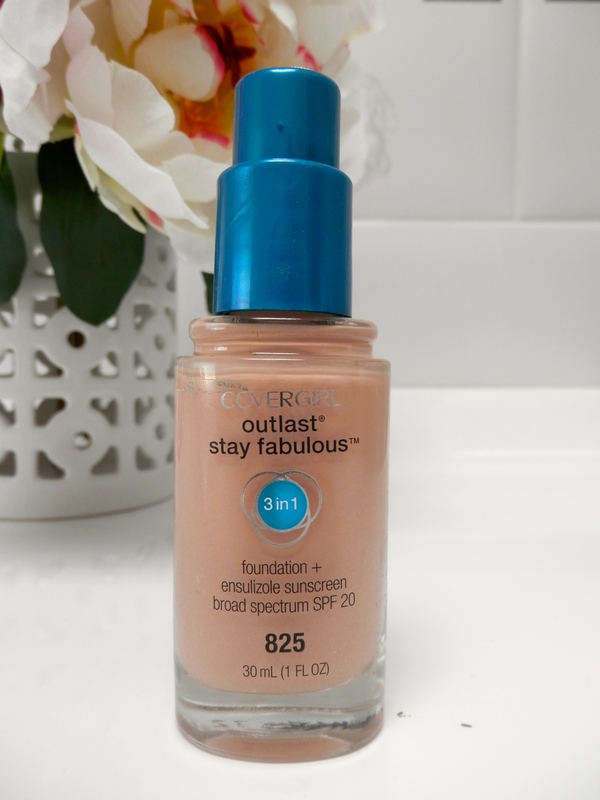 I think it’s safe to say we all need a serious stay put foundation in our makeup arsenal and for me the Covergirl Outlast Stay Fabulous is it. I purchased this foundation after seeing it in use in a couple Sharon the Makeup Artist’s tutorials, she raved about it’s lasting power and its beautiful finish. Now I have quite oily skin so I tend to look for a fairly matte finish and this is definitely that, its is a nice soft matte finish with a medium coverage that you wouldn’t necessarily have to powder but I do just to make sure its set. I have used this quite a lot during winter when I have long days at work or at university and I can honestly tell you that a part from a slight shine I still have a full face of foundation and I can only say that about a few foundations that I own. I know that in summer its is quite fashionable to wear a very lightweight barely there dewy foundation but with my oily skin and the Australian summer heat I do not have that luxury unless I want to look like my face is literally melting off. So due to that problem I tend to go for this foundation thanks to its medium coverage and its matte finish, I just try to add a fair whack of highlighter so my face still looks glowy. For anyone that likes a fuller fairly matte coverage and a formula that stays put, I couldn’t recommend this more! This is my current favorite foundation, too! It’s fabulous isn’t it?! I’m wearing it right now!